been enjoying the miles ive put on here thus far, 8800 +/- as of this morning, coming up on 5 months of ownership. 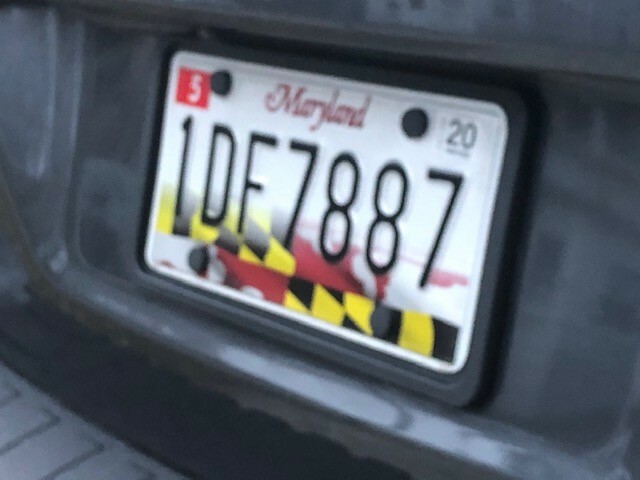 I will say that there are a few things that are testing my patients and sanity with the vehicle- the drivers seat squeaking/popping, dash rattle(could be a loose speaker on the drivers side or something in the steering column). aside from that the gas mileage just started to rise alittle more, which is the main reason I bought it so im happy with that. 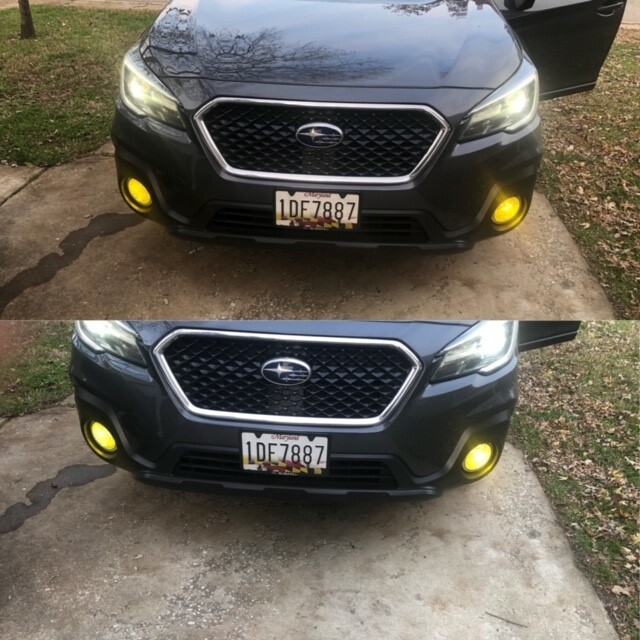 installed the yellow SLF diode dynamics bulbs this weekend with a lamin-x yellow film over the fogs. 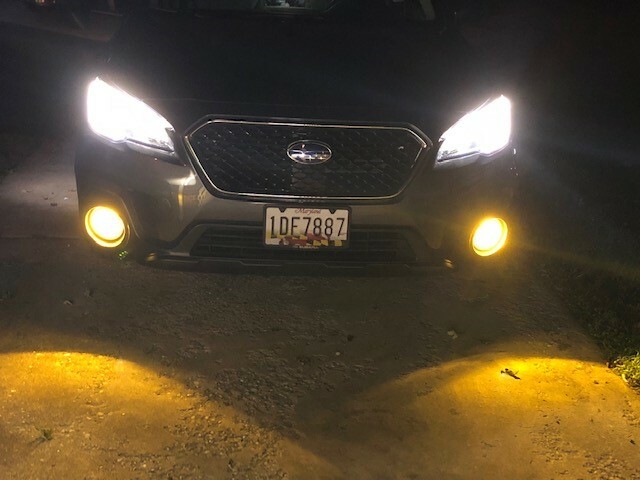 overall pleased with the outcome, I figured since im not intending on lifting or changing much other than lighting or easily installed mods for the time being, this would fit the bill. also gave it a nice foam bath this weekend, as its been nothing rainy weather since I had it ceramic coated back in july. Appreciate the kind words guys. 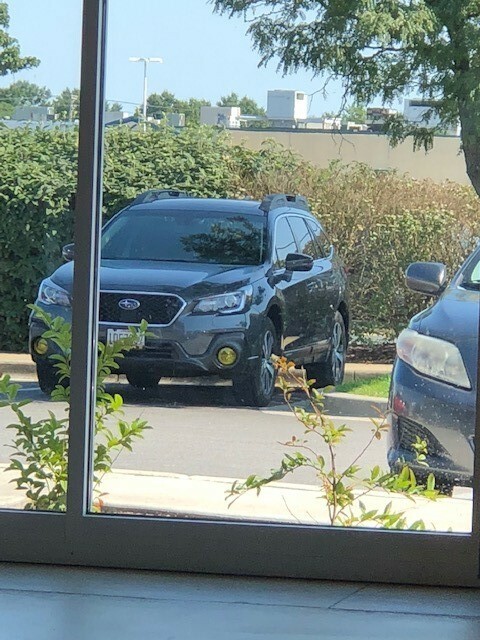 The overall goal for this car, like many other vehicles I have owned is an OEM+ look- the way subaru should have released or optioned the car. That being said I removed my metal subaru license plate brackets in favor of C&C CarWorx brackets front and rear. 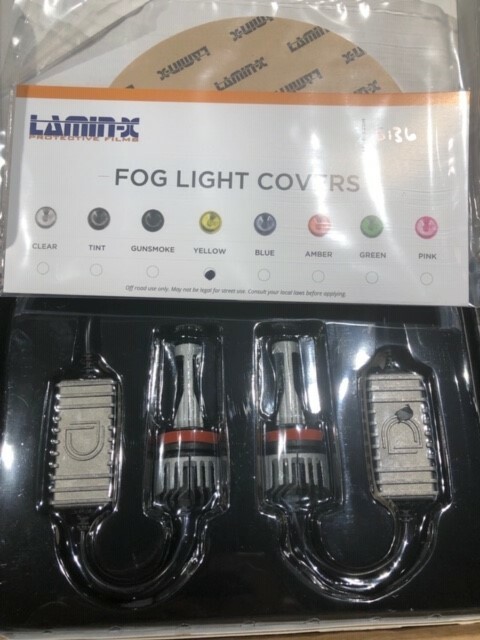 The fit and finish on them is great and really cleans up the exterior of the car. I’ll post pics later when I’m not posting from my phone. I just rolled 15k in the car and we are experiencing our first substantial snow here in Maryland this evening. I was greeted with a nice crack in my windshield yesterday. Not sure what it’s from, was sitting at a light and heard a nice ‘pop’- looked up and saw a nice 10” crack from the middle of the A-pillar towards the center of the windshield. Definitely bummed about it... looking to hear back from SOA on this, wondering if my Gold Plus warranty may cover it. 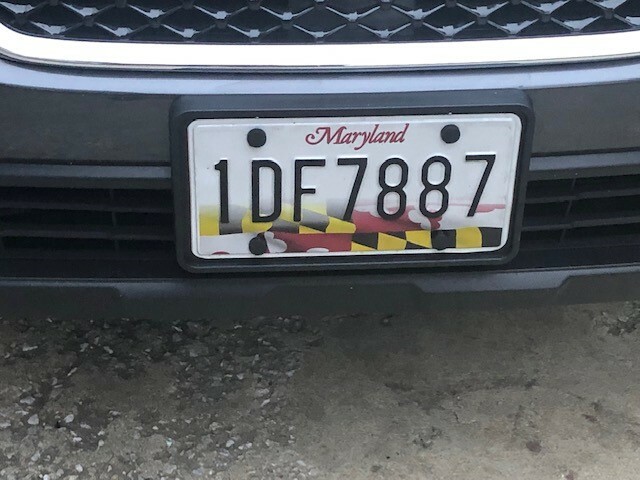 installed the C&C carworx license plate brackets front and rear this past weekend before the snow, nothing like installing these in 30 degree weather. overall for $60 im not 100% on board with the price of them but the look and finish is great and does give the car a more finished look. i originally installed some metal matte black subaru frames, but the rear rattled on the hatch and i didnt like that. 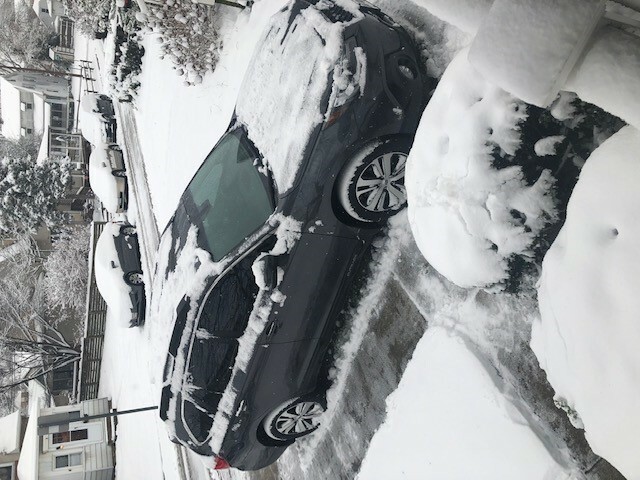 this past weekend the MD area got around 4"-8" of snow, the wagons first snow. it was alittle nerve racking clearing the snow off here as i didnt want to damage the paint let alone the ceramic coating but i managed LOL. 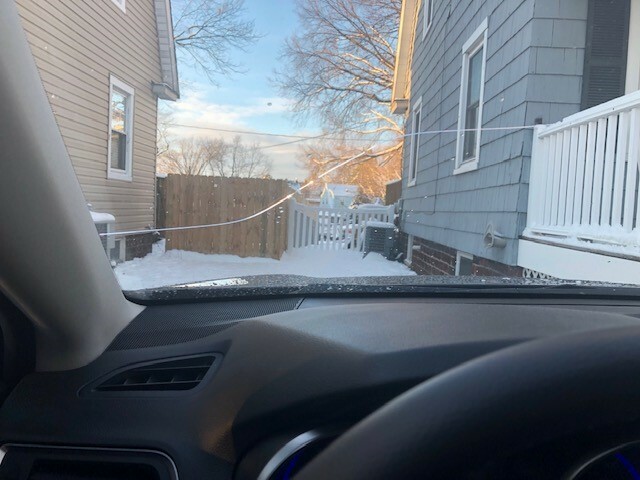 the cold snow on the windshield and the defroster set to 75 didnt make the small crack i had in my windshield happy and it proceeded to double in size. looks like ill be calling the dealership AGAIN on this to see what they can do and what my gold plus warranty does for this- probably nothing. i priced a replacement through safelite at around $450. not cool... as for snow performance with the OEM bridgestone with 15k on them, nothing bad to report. most the highways were just wet, parking lots and side streets had some fresh powder and slush but no slipping. 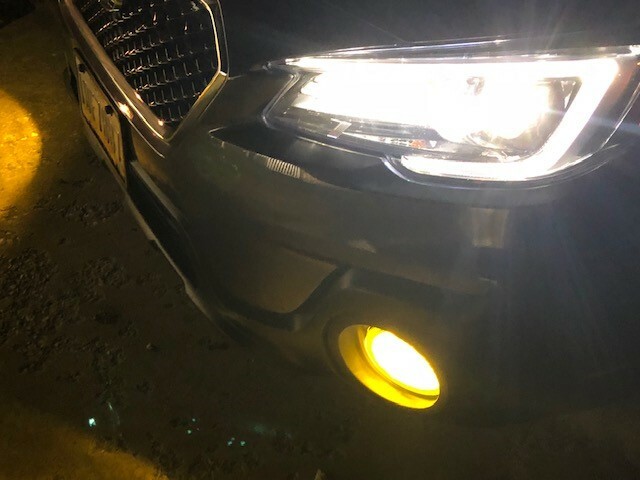 i will say that after a 20min ride to the gym, the car had a faint burning smell- after some research it appears thats just from the center diff locking up more than its used to. i wasnt doing donuts or anything just normal driving. she goes in for an oil change/tire rotating in 2 weeks so ill be having the windshield replaced hopefully. also i had the squeaky drivers seat fixed approx a month ago and its been great so far, but i fear the squeaks coming back or the frames failing again.. who knows.